A set of jargon-busting guides that teach children about their rights on social media sites has been published. She simplified the websites' terms and conditions with privacy law firm Schillings. 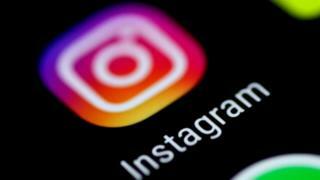 But Instagram said the simplified version of its terms contained "a number of inaccuracies". All the sites require children to be over 13 to create an account. "Children have absolutely no idea that they are giving away the right to privacy or the ownership of their data or the material they post online," said Ms Longfield. She is urging the UK government to adopt the EU's General Data Protection Regulation, which requires all companies offering digital services used by children in the EU to simplify their terms and conditions by May 2018. She said "much more needs to be done" by all of the social media giants to "make them more accountable and transparent". However, Instagram said there were inaccuracies in the simplified version of its policies. In a statement, it said: "It is wrong to suggest we share young people's personal information, contact details or content of direct messages with advertisers without their permission. Nor do we share details of who people are messaging with." The commissioner had criticised Instagram for its 17-page, 5,000-word terms and conditions. But Robert Lands, from law firm Howard Kennedy, said shortening terms and conditions can often create confusion rather than clarity. "There are a number of reasons that terms and conditions are quite long," he told the BBC. "It's not to confuse people, it's the opposite. When you need to explain difficult concepts, sometimes it takes words to do it." A Facebook spokeswoman said the company wanted everyone to feel "safe and secure" when using the platform. "Our resources - such as our parents portal, privacy basics tool and safety centre - are easy to understand and used every day by young people and parents looking for clear and simple advice," she said. Katie O'Donovan, public policy manager at YouTube, said the company "is always looking for ways to improve" and will continue working with the commissioner to refine its resources. WhatsApp could not be reached for comment.